CRMSoftwareApp Projects BugTracker featureoffers you to create, monitor and resolve bugs and issues that projects will undoubtedly create. The administrators and managers are permitted to arrange the progress and work process of the bug life cycle, as necessary. CRMSoftwareApp Projects bug tracking software enables admins to design authorizations in light of progress, assign the bug to another status, or erase the bug. It offersyou improve each progression of tracking bugs. 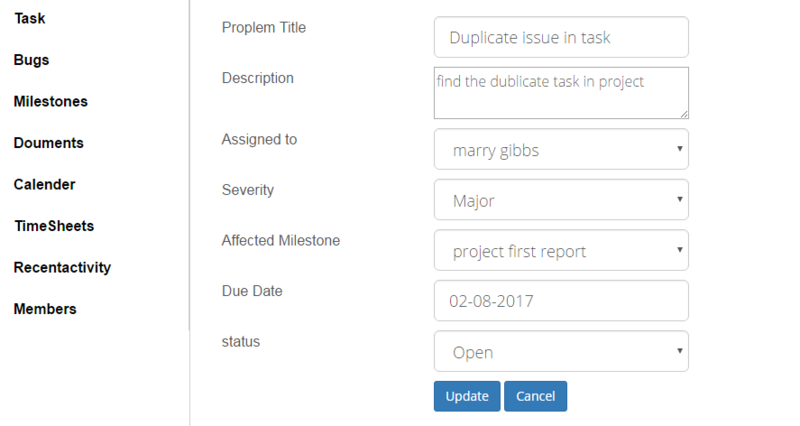 Bug tracker's adaptable work process design gives you a chance to characterize singular work processes for various project activities. It's simple to arrange work processes to mirror your organization's interesting needs. Priority is the estimation of how genuinely the bugs influence the application and its utilization. You can make your own marks and gathering the bugs into them.